The e-Asthma programme is an interactive e-learning resource for healthcare professionals which aims to improve the diagnosis and management of asthma as a long term condition for children and adults. 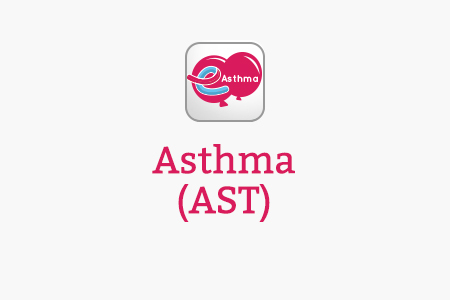 e-Asthma is a foundation level educational resource aimed at all healthcare professionals who come into contact with children or adults with asthma who are not asthma specialists. This includes GPs, practice nurses, pharmacists, community nurses, school nurses, ambulance staff, 0-19 teams and A&E staff. Covering both paediatric and adult asthma diagnosis and management this programme aims to develop a healthcare professional’s knowledge and confidence in caring for patients with this long term condition, improving the quality of care received by children and adults. Among children in the UK, asthma is the most common chronic medical condition and the most common reason for an acute medical admission to hospital. 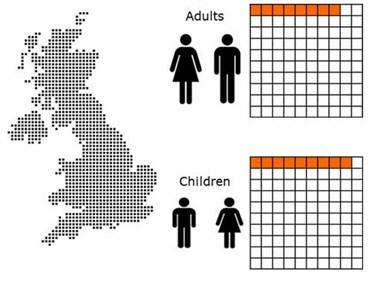 Asthma UK estimates that there are currently 1.1 million children in the UK receiving treatment for asthma. It is predominantly a long term condition that should be appropriately diagnosed and managed within primary care. Asthma is one of the top three reasons for emergency admissions to hospital and up to 75% of these admissions are avoidable. Asthma mortality is sadly increasing. Mortality rates from Organisation for Economic Co-operation and Development (OECD) nations (2010) show the UK rate (for all asthma) as the third highest in Europe. The National Review of Asthma Deaths (NRAD, May 2014) showed that in the UK there were 1,242 deaths from asthma in 2012, 21 of these in children aged less than 14 years. There are preventable factors in 90% of childhood deaths from asthma. The achievable goal of freedom from asthma symptoms is not being met in many children and young people and paediatric asthma also pivots with adult respiratory conditions (asthma and COPD). In addition local audits have shown that the majority of primary care professionals do not feel confident in their management of asthma. If you already have an account with e-LfH, then you can enrol on to the Asthma programme by logging in to the e-LfH Hub, selecting My Account > Enrolment and selecting the programme. You can then access the programme immediately in the My e-Learning section.